SAN DIEGO, CA – May 3, 2017 – The California State University Institute for Palliative Care (Institute) today announced it has received grant funding to make important progress towards reducing health disparities. Supported by a grant from the UniHealth Foundation, a non-profit philanthropic organization whose mission it is to support and facilitate activities that significantly improve the health and well-being of individuals and communities within its service area, the research is aimed at improving patient outcomes and the enhancing quality of life for Latinos in the Long Beach area dealing with the harsh difficulties associated with a serious or chronic disease. 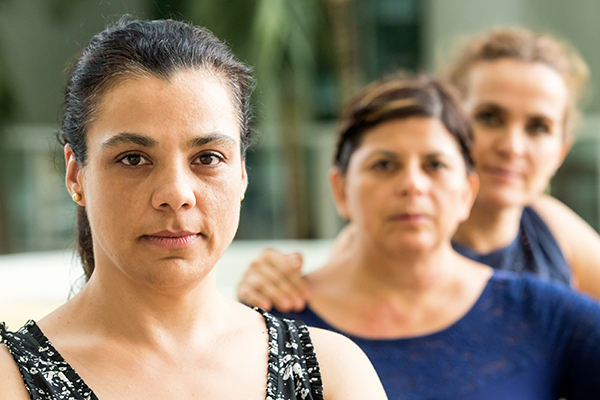 Research indicates significant issues in the provision of culturally sensitive palliative care for Latinos. This grant funding will support increasing awareness of and access to palliative care, an approach that adds an extra layer of support by addressing the physical, emotional, psychosocial and spiritual concerns associated with serious and chronic conditions, in the Latino community in the Long Beach and greater Los Angeles region. Almost half of the over 10 million people in LA are Latino, but only 6.9% of patients’ currently accessing palliative care nationally are Latino. Based on this disparity, the Latino community is largely “underserved” in terms of access to palliative care, and may benefit from greater awareness of palliative care when it is championed by promotores. Community Health Workers or promotores de salud are respected and valued in the Latino community for helping to improve the quality of life and wellbeing. Building on rapport with families and caregivers, these community leaders provide education on diverse topics ranging from disease management strategies to lifestyle changes and disease prevention. The grant activities will encompass promotor/a training in palliative care hosted at the Centro Salud es Cultura in downtown Long Beach. Numerous groups will be supporting the work of the grant. The CSU Institute for Palliative Care at Cal State Long Beach has engaged its campus’s National Council of La Raza(NCLR)/CSULB Center for Latino Community Health, Evaluation, and Leadership Training (Center for Latino Community Health) to engage the Center’s promotoras to recruit additional promotores in the area for training. Director of the Center for Latino Community, Mara Bird, commented “A strength of Latino communities is the value of familismo and caring for one another. This donation provides culturally relevant support that is it truly needed: for caregivers who carry the emotional, spiritual, and physical weight of the caring for loved one with serious and chronic illness. The CSU Institute for Palliative Care will utilize the expertise of Familias en Acción, a non-profit group from Portland, OR which has created the highly successful Empodérate program that will be used to educate the promotoras and will provide them with information that they can share with other community members, families and caregivers. Established at Cal State San Marcos in the fall of 2012, the California State University Institute for Palliative Care is America’s first system-wide educational and workforce development initiative dedicated to increasing access to and awareness of palliative care by educating current health care professionals, future health care professionals, and, community members. It is tasked to accomplish this mission by developing a model at CSU San Marcos and then replicating that model at other CSU partner campuses. The CSU Institute for Palliative Care at Long Beach was formed in 2015, and is one of 7 campus partners. National Council of La Raza(NCLR)/CSULB Center for Latino Community Health, Evaluation, and Leadership Training (Center for Latino Community Health) was established in 2005 to support and create diverse community health initiatives that increase access to culturally and linguistically relevant health education, prevention, screening, and treatment. The mission of Familias en Acción is to promote empowerment and holistic family well-being for Latinos through compassionate community engagement, education, research, and advocacy for social change. It is based in Portland, OR, and was founded in 1998. Through a grant from Cambia Foundation, Familias en Acción, developed both an online training for professionals, Caring for Seriously Ill Latinos, which is now available through the CSU Institute for Palliative Care; and, Empodérate, the face-to-face program for community health workers that will be part of this grant. UniHealth Foundation is a private grant making organization established in 1998 as the result of the conversion of a nonprofit vertically integrated healthcare system to a private foundation. UniHealth Foundation’s mission is to support and facilitate activities that significantly improve the health and well-being of individuals and communities in Los Angeles and northern Orange Counties.